The Tor des Geants, a 330-kilometer race through the Italian Alps, starts on the streets of Courmayeur, Italy. Like many new ultramarathon events, the Tahoe 200 takes place in a scenic location — the Sierra Nevada mountains surrounding a large, pristine alpine lake. It boasts a healthy amount of elevation gain — 39,800 feet. It promises well-stocked aid stations and live Web tracking, and offers a belt buckle and commemorative print to finishers. What makes this race different from all the others? It’s 200 miles long. Within days of the announcement, chatter had spread like wildfire throughout the ultrarunning community, the event’s Facebook page had more than 2,000 likes, and event organizers were already discussing a participation lottery before the number of entries and fees had even been set. 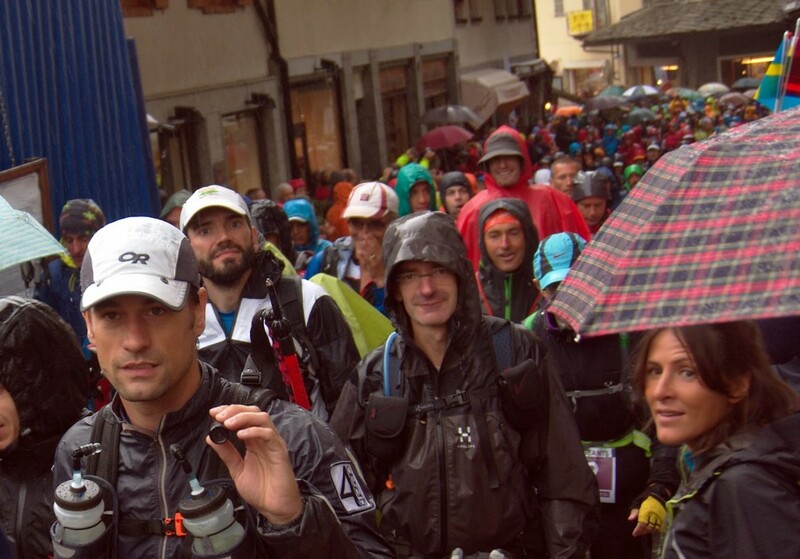 Similar distance events have been taking place in Europe for several years now — the Tor des Geants in Italy and La Petite Trotte à Léon starting in France. Both take place in aesthetic mountain routes in the Alps and just happen to be 300 to 330 kilometers in length, and both are enjoying a similar surge in popularity despite the time and training investment that accompanies such long efforts. The emergence of a new standard distance might cause some to wonder just how far is too far, but studies have shown that longer events might not be as damaging as “short” ultramarathon distances like 100 miles and even 50 miles. In a recent study of muscular function of ultra-distance runners, scientists in Switzerland found that runners who finished the Tor des Geants experienced less neuromuscular function, less muscle damage, and lower levels of inflammation than runners who completed 50- and 100-mile events. The takeaway — seemingly extreme distances and efforts force humans to slow down and put less stress on their bodies, resulting in less damage and a closer approximation of each individual’s “forever” pace. Given those natural biological inclinations, the excitement and rush to participate in longer and longer distances might not be the health apocalypse that some fear. But it does pose intriguing sociological questions — where does this drive to go ever further come from? And how does it benefit or hurt us as individuals and as a society? The Tahoe 200 offers sleep stations and a 100-hour time limit, indicating that the orgainzers don’t expect people to just up and run 200 miles in one fast-paced blast. Given a long enough distance, these events will more closely approximate a strenuous through-hike than a run, by nature of biological necessities and physical limits. 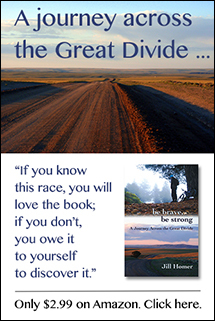 One might argue that a 200-mile distance lies in the grey area in between, and few people understand how such an endeavor will go for them. Anyone who has completed a 100-mile ultramarathon will agree that the strain of 100 nonstop miles is very different from simply doubling the effort of a 50-mile run. The same can be said of a 200-mile race, but based on these scientists’ findings and personal experience, I believe these efforts do begin to swing back toward sustainable, given all basic biological needs are met and mental willpower holds strong. It will be interesting to watch how this trend develops in the coming years, and whether “200 miles” starts to trickle into the ultrarunning lexicon. In a sport is that is all about pushing limits, the “limit” will only continue to expand. Owing to give the Tahoe 200 a try? Tahoe 200 looks like an intriguing race. Still, for me, TdG would be the first dream for an organized event. And I can still think of several long routes in the Sierras I’d like to try as well, given a week to do some fastpacking. Love the suggestion of a sustainable pace for infinite time. For a flat course this is approximated by the Sri Chimney 3100, or by Ullrichs cross US, where limits look to be about 70 miles per day. Yes, 70 miles a day does seem to be about the limit achieved by runners for any sustained, supported effort on a flat course longer than about a week. On mountain routes, the standard seems to lie somewhere between 45 and 55 miles a day for fast-packers on the Appalachian and Pacific Crest Trails. Interestingly, at least in the case of the Transcendence Run and these thru-hike FKTs, women seem to stand on nearly equal ground with men. What the study you reference and many readers of the article seem to forget is that while the study showed less acute damage to the muscles due to severe fatigue and a slower pace for the longer effort, there are many other types of physical stress the body undergoes during this type of event that can be equally as damaging. Discounting the fatigue, adrenal consequences, immune consequences, etc of the longer events (200mi, multi-day) would be naive. While less muscle damage may occur due to slower paces, these other issues usually suffer more in an event that lasts more than 24-36h. Having done a 57h ‘through-hike/run’ with only 45min of sleep time I can say that I agree the muscle fatigue was less than the 100s I’ve run, but the general fatigue took over a week before I finally felt ‘semi-normal’ again. Earlier this year the FKT was the ‘new direction’ of Ultrarunnering, now its 200milers? I think they both will see increased participation due to the growth of the sport, but I don’t think either one will have the draw that the 100mile distance has. Good points, Eric. The issues you mention are more difficult to quantify because existing blood tests aren’t sensitive enough to detect small declines in adrenal function and immune systems. But no doubt extended fatigue is a risk. And of course >100-mile races will never have the draw of 100-milers, just as 100-milers will never have the draw of marathons. But there does seem to be a interest in branching out, as show by the relatively widespread response to this single event. Having a little bit of experience with these things so far, I’m not convinced that 200-miles is “the next thing” beyond 100. There are 150-mile, 200-mile, 48hr, 72hr events that I don’t think are really that different in quality from a similar 100-mile event. However, I do think that TdG, PTL do (and TRT200 hopefully will) offer a significantly different experience than events that can be completed in a day (or at least less than 2 days). I think that completing a non-staged, multi-day event requires learning a certain set of skills in terms of managing your body, your focus and your will to continue that go beyond those needed to finish an event in one sustained “push”. This is especially true if the event consists of a mountainous or wilderness route that demands a certain amount of self-sufficiency. I think you’re right in your assessment of the TRT200. As for the first part of your comment, it’s interesting to me how much runners seem to fixate on specific numbers in regard to distance. Timed events rarely spark much outside interest. “Oh, you ran 124 miles in 24 hours, that’s nice.” “Oh, the Arrowhead 135. That’s a little bit longer than a hundred, I guess.” But suddenly there’s a route that’s 200 miles (and even still, probably closer to the non-round number of 202 miles), and there’s a seeming explosion in interest about this most epic event. I agree that it looks to be a beautiful and compelling route, but it’s not that much different than just going out and running the TRT on one’s own time, minus the aid stations and belt buckles. Don’t get me wrong, I’m fully on board with the community support and development of more multi-day events, something I’ve advocated for in bikepacking for eight years now. This event will allow people who have always wanted to run the TRT to do so with full support. But I find it intriguing — why so much excitement in the ultrarunning community about this one new race? My honest opinion — it’s the number.